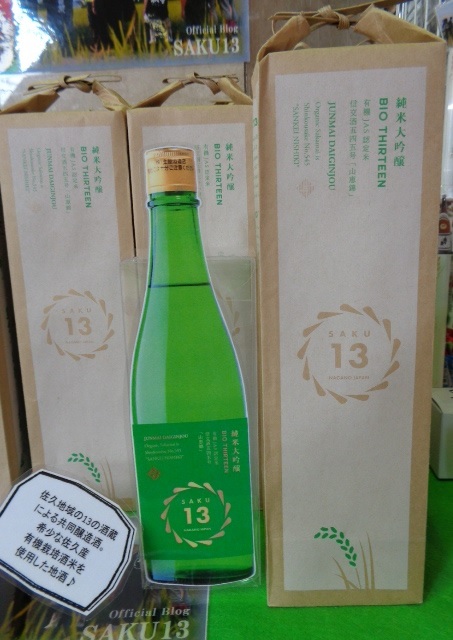 We sell new arrivals Junmaidaiginjyo Sake 「Saku13 BIO THIRTEEN」in which 13 breweries in Saku area work together as a team from rice growing to sake making. The items are limited in quantity. This sake has a sharp and fruity tast just like wine. It is highly recommended as a gift since Japanese sake can be used as gifts for special occasions.